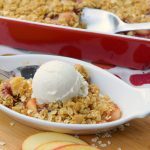 Slow Cooker Apple Cranberry Crisp | Who Needs A Cape? 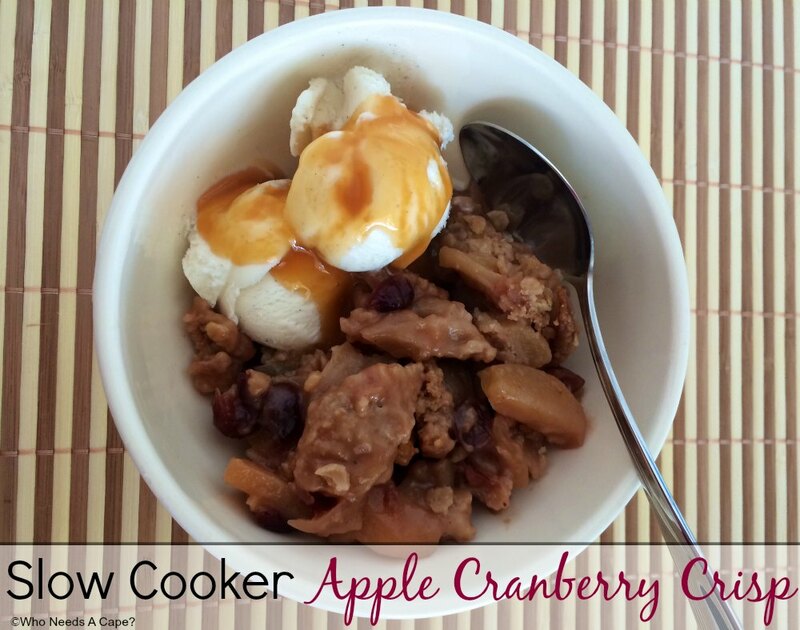 This Slow Cooker Apple Cranberry Crisp is so easy, yet so delicious! 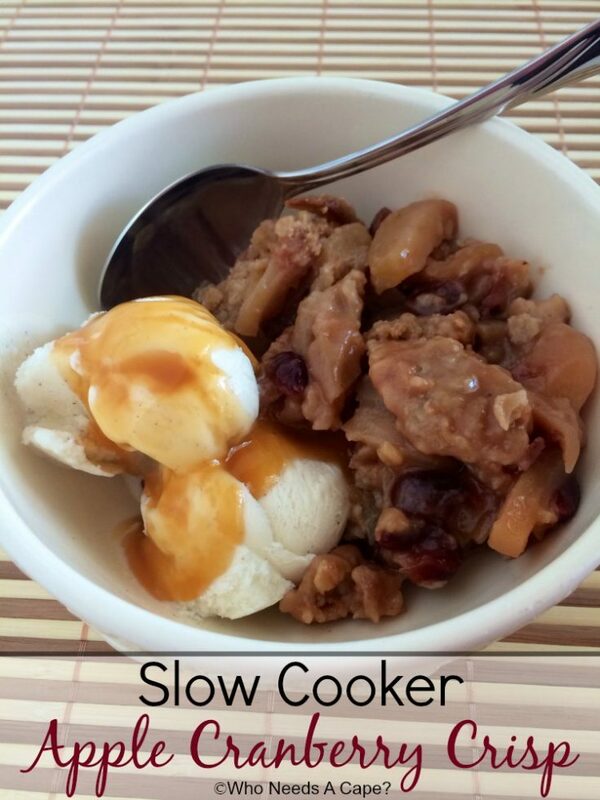 A great dessert without much work, throw into your slow cooker and enjoy the aroma. Fall is creeping up on us! Around here the mornings are a little more crisp, the leaves are starting to slowly turn colors and the flowers of summer are slowly fading away. Fall’s arrival also ushers in all the flavors of fall – apples being one of our favorites – so off to the orchard we will head very soon. 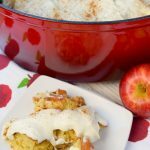 Last week on a rather chilly day I threw together this delicious yet easy Slow Cooker Apple Cranberry Crisp! 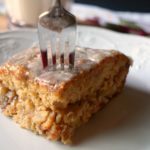 This is a recipe that sort of evolved over the years and I can easily adapt depending on how many of our kids are around. You’ll love the addition of cranberries – they give this just a tiny bit of tart and add some color to a basically brownish treat. Now this ‘crisp’ won’t get as crispy on the top as a traditional oven-baked ‘crisp;’ if you are determined to have a crispy topping you may want transfer to an oven-safe dish after cooking and broil the top for a minute or two. That’s completely optional and up to you. 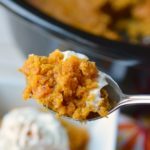 What isn’t optional is serving this alongside a big dollop of vanilla ice cream or freshly whipped cream; it’s delicious and adds another level of flavor. If by chance you have any leftovers, use them up at breakfast by making Apple Cranberry Crisp Pancakes, so yummy! Combine inside slow cooker the following: sliced apples, dried cranberries, 1/4 cup brown sugar and lemon juice, stir ingredients to combine. In small bowl combine: flour, salt, remaining 1/4 cup brown sugar, salt & ground cinnamon. Cut in cold butter with 2 knives or pasty blender. When pea sized pieces have formed stir in oats. Dump flour/oat mixture on top of apple mixture in slow cooker. Cover. Cook on high 2 hours (times/temp may vary). I used a 5 qt. 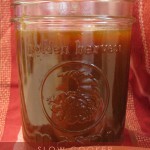 oval slow cooker for this recipe. Please visit our Favorite Fall Flavors Pinterest board for more great fall dishes! 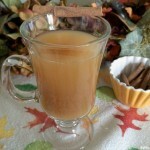 Follow Who Needs A Cape?’s board Favorite Fall Flavors on Pinterest.